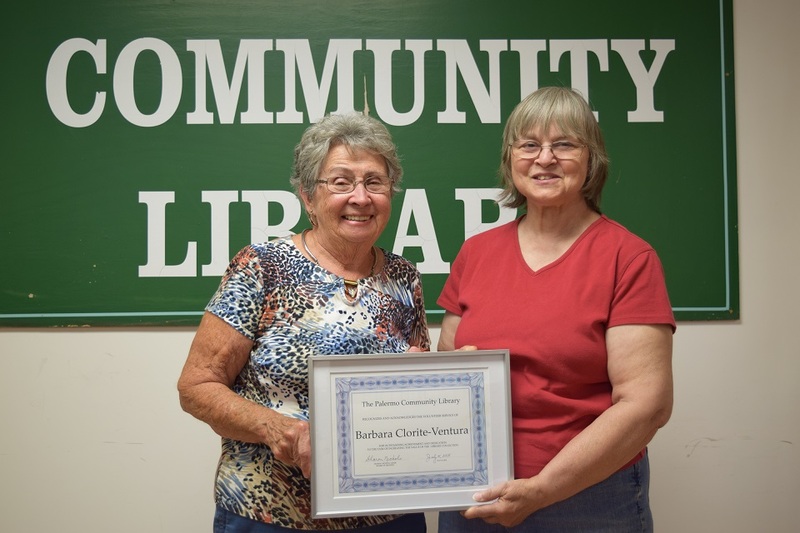 Barbara Clorite-Ventura, a volunteer at the Palermo Community Library, was recently recognized at the Library’s 16th annual meeting for her dedication in correcting the value of the library’s collection by adding the price of items that had not been previously recorded. Andrew Pottle was elected as a Trustee to a three-year term. He was home schooled and is a local bluegrass musician with his band, Green Onions. He is employed as a Pharmaceutical Waste Specialist by Stericycle. The Two Old Cops, John Ford and Mark Nickerson, told many stories that had the large group enjoying a day of laughter.